Levi’s® Stadium in Santa Clara, California, is home to the NFL’s San Francisco 49ers. In creating a sustainable stadium to house the San Francisco 49ers, the challenge was to capture and re-use water in a stadium larger than the 49ers’ previous home, Candlestick Park. FlowTherm’s Recycled Water Booster Pump Systems were engineered to help the stadium save more than 42 million gallons of water per year. 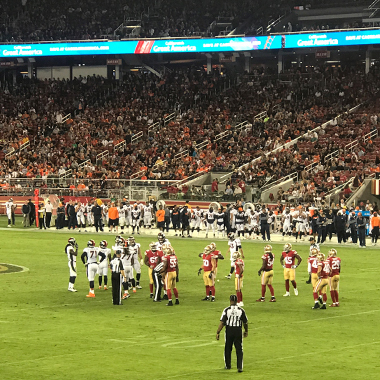 The decision to use reclaimed water for its flushing and irrigation systems was a key component to Levi Stadium’s green movement. With two times the amount of toilets as Candlestick Park, the pressure was on to make sure the stadium would have consistent water flow, especially during heavy bathroom traffic periods like Half Time. 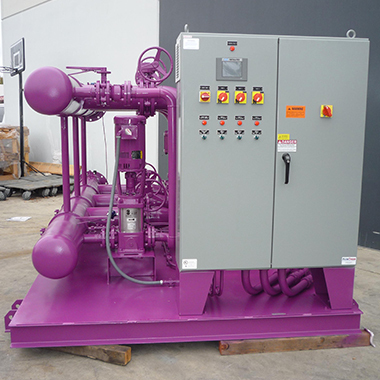 FlowTherm stepped in with its recycled water pressure booster systems, ensuring that all water systems functioned at high efficiency, even during heavy use periods. The system was tested before the stadium opened to make sure that everything was up and running smoothly. For 30 minutes, hundreds of workers and volunteers turned on every sink and simultaneously flushed every toilet and urinal in the stadium—and it was a success! 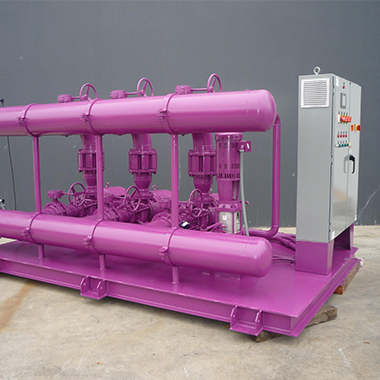 The pumps functioned great and soon the facilities were up and running.